Kitty Kelley is this year’s honoree at The Jewish Council for the Aging’s 24th annual Sylvia Blajwas Productive Aging Award Dinner, which will be held Sunday, May 21, 2017 at the North Bethesda Marriott Hotel and Conference Center. There will be cocktails, hors d’oeuvres and a silent auction, starting at 5:30 p.m. Previous honorees have included Sam Waterston, Alan and Arlene Alda, Sally Quinn, Doris Kearns Goodwin and Richard Goodwin, Edgar Bronfman Sr., Cokie and Steve Roberts, Phyllis Richman, Judith Viorst, Phil Donahue, Daniel Schorr, Robert Prosky, Eli Wallach and Anne Jackson, Jerry Stiller and Anne Meara, Ruby Dee and Ossie Davis, Eunice and Sargent Shriver, Roberta Peters, Gwen Verdon, Mike Wallace, Al Hirschfeld, Dr. C. Everett Koop, Katharine Graham, and The Honorable Louis Goldstein, Comptroller of the State of Maryland. The Jewish Council for the Aging is the leading aging agency in the Greater Washington D.C. area. Kitty Kelley received the 2016 Lifetime Achievement Award from the Washington Independent Review of Books. The award was presented at the 4th annual “Books Alive!” Washington Writers Conference on April 30, 2016. The following are her remarks. I still dream about going to the same heaven as authorized biographers but I’m probably headed for whatever awaits the unanointed. 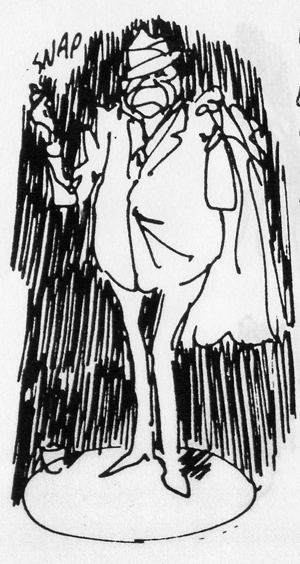 I’m afraid I’ve toiled too long on the unauthorized side of the street to ever hear the angels sing. But this award for telling the truth and riding a fast horse will keep me galloping forward —with great pride. 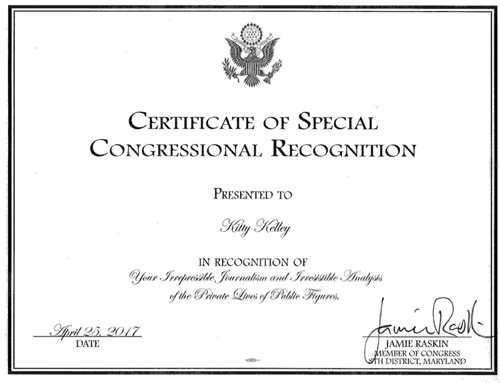 David O. Stewart, president and chair of the board, presented the award to Kitty Kelley. 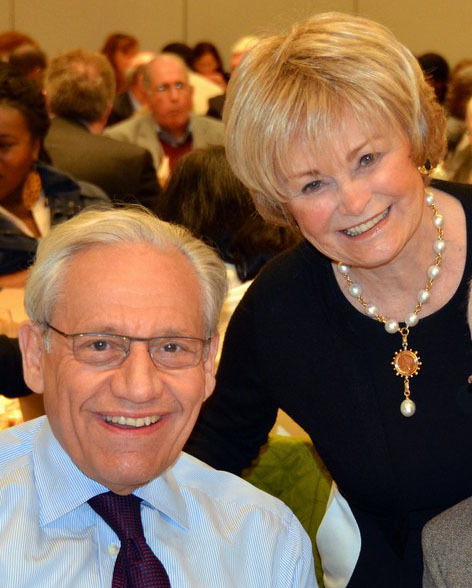 Kitty Kelley with keynote speaker Bob Woodward. The Board of the American Society of Journalists and Authors has voted to give Kitty Kelley the Founders’ Award for Career Achievement. 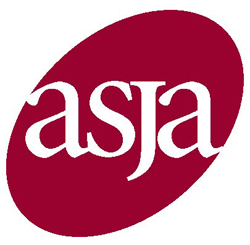 According to Minda Zetlin, President, ASJA, “The award goes to a member whose ability to tell a story and whose style, range, and diversity of career exemplify the profession of independent nonfiction writer.” The award will be presented at a ceremony in New York on April 24, 2014. 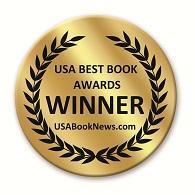 Let Freedom Ring and Capturing Camelot both won USA Best Book awards. Let Freedom Ring won in the History: United States category. 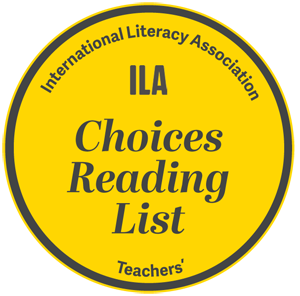 Read reviews of Let Freedom Ring here. Capturing Camelot won in the Gift & Specialty Books category. Read reviews of Capturing Camelot here. Kitty Kelley’s Capturing Camelot: Stanley Tretick’s Iconic Images of The Kennedys and Let Freedom Ring: Stanley Tretick’s Iconic Images of the March on Washington are available from Thomas Dunne Books in both hardcover and ebook formats. Oprah, by Kitty Kelley, is the Winner in the Biography category of the USA “Best Books 2011” Awards sponsored by USA Book News. Read reviews of Oprah here. Oprah is available as a paperback from Three Rivers Press and as an ebook.